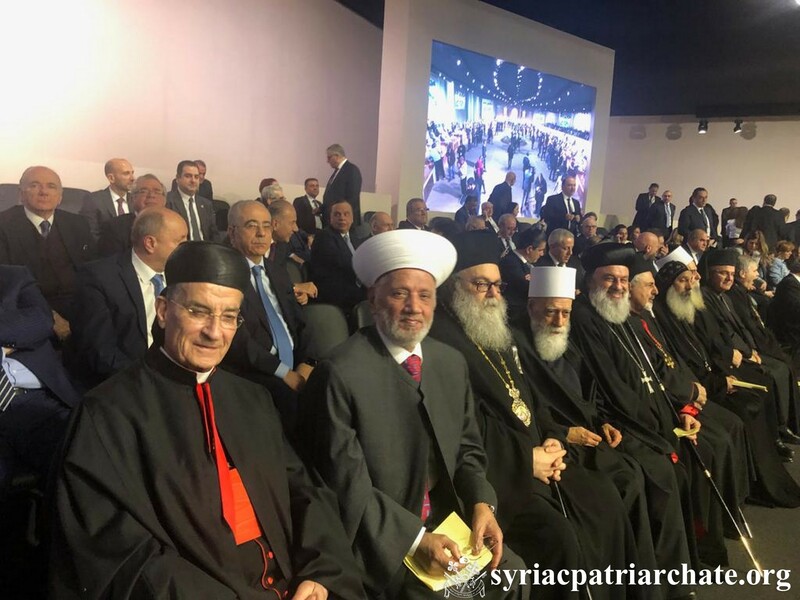 On January 20, 2019, upon the invitation of His Excellency General Michel Aoun, President of the Lebanese Republic, His Holiness Patriarch Mor Ignatius Aphrem II attended the opening session of The Fourth Arab Economic and Social Development Summit, hosted by the Republic of Lebanon, and held in Beirut. The session was attended by official delegations representing twenty Arab countries, including Presidents, Ministers, and officials. Lebanese officials, as well as various religious leaders also attended the opening session. His Excellency General Michel Aoun presided over the summit. In his opening speech, His Excellency spoke about the general situations in the Arabian countries, as well as the common challenges that face them. He also spoke about the economic and social development in these countries.